Hell's Kitchen Season 14 Where Are They Now? 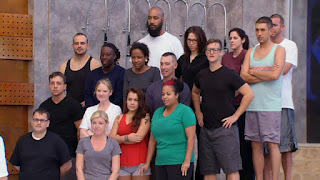 Hell's Kitchen Season 14 aired March 03 to June 09, 2015 on Fox Network, there were 18 contestants and the prize for the winner was a head chef position at Gordon Ramsay's Pub & Grill at Caesars Atlantic City. In this season, Gordon Ramsay was judge, Marino Monferrato was Maître d', Andi Van Willigan was sous chef for the red team and James Avery was sous chef for the blue team. Continue below to read what the Hell's Kitchen season 14 contestants did next after appearing on Hell's Kitchen. Adam Livow was an Amusement Park Chef from Freehold, New Jersey. He was eliminated in Hell's Kitchen episode 8 due to his problems on the meat station. After the show, he became Executive Chef at Shaka Burrito. Alison Rivera was a Sous Chef from Manhattan, New York. She was eliminated in Hell's Kitchen episode 12 due to her failures on the fish station during the service. After the show, she was chef at Mexican restaurant Mission Cantina. Brendan Pelley was an Executive Chef from Bedford, Massachusetts. He was eliminated in Hell's Kitchen episode 6 due to his failure on salmon and failing to take responsibility. After the show, he returned to Zebras bistro & wine bar before opening pop up restaurant Pelekasis until August 2016. He is currently chef at Doretta Taverna & Raw Bar. In April 2018. he appeared on Beat Bobby Flay. 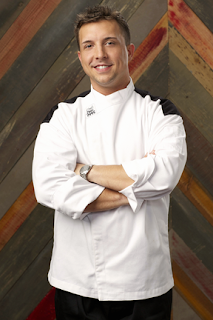 Bret Hauser was a Sous Chef from Delray Beach, Florida. 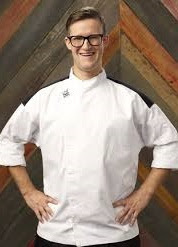 He was eliminated in Hell's Kitchen episode 8 after an accident led to further injury to a slipped disc and Gordon refused to let him continue and risk further damage. 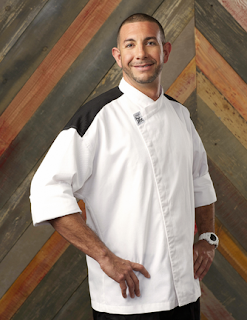 After the show, he was Executive Chef at Pizza Craft Artisan Pizzeria, was a guest chef at a number of locations and he now offers private chef experiences. 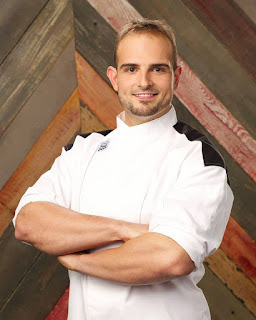 Cameron Spagnolo was a Banquet Chef from Jersey City, New Jersey. He was eliminated in Hell's Kitchen episode 2 due to his poor performance on the fish station. After the show, he returned to the kitchen and currently works at Yale Club of New York City. Chrissa Schmerler was a Food Truck Owner from Bellmore, New York. 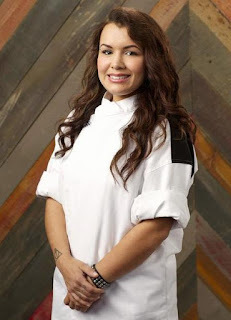 She was eliminated in Hell's Kitchen episode 1 due to her failures in the service and the feeling that she wasn't taking the competition seriously. After the show, she returned to her Big Cheese food truck. 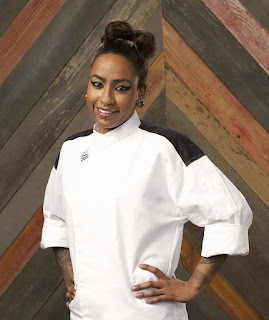 Christine Hazel was a Banquet Chef from Philadelphia, Pennsylvania. She was eliminated in Hell's Kitchen episode 9 due to her decision to make adaptations to the dishes. After the show, she became a private chef and chef consultant. She has also had a number of recipes published and appears on local radio and television cooking segments. 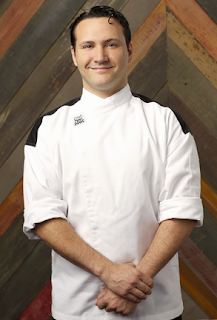 Josh Trovato was a Chef De Cuisine from Brooklyn, New York. He was eliminated in Hell's Kitchen episode 13 due to his decline in the process but Gordon praised his passion. After the show, he became a fitness and health guru and is an actor. 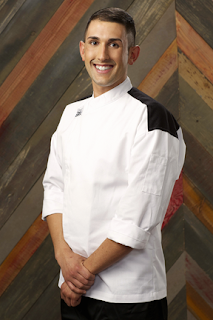 He returned for Hell's Kitchen Season 17 and is also a part time bartender and does cookery events. After the show, she took up the winners head chef position at Gordon Ramsay's Pub & Grill at Caesars Atlantic City. Michael Dussault was a Senior Chef from Hartford, Connecticut. He was eliminated in Hell's Kitchen episode 3 due to his poor performances and for putting a hot pan on top of cold pans causing potential for danger. 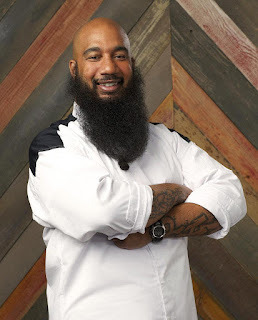 After the show he became the Director of Operations and Executive Chef for his own catering company Adventure By The Plate and was Culinary Director at a Yacht and Golf club in Massachusetts. Mieka Houser Harris wwas a Sous Chef from Olney, Maryland. She was eliminated in Hell's Kitchen episode 4 due to her struggles with service and lack of confidence. After the show, she became Kitchen Manager at Rockville’s Full On Craft Eats & Drinks. Michelle Tribble Michelle Tribble was a Line Cook from Dallas, Texas. She was eliminated in Hell's Kitchen episode 15 but praised by Gordon for her progress. After the show, she competed in Men'tor Young Chef Competition and worked at Five Sixty by Wolfgang Puck. She returned for Hell's Kitchen Season 17 . Milly Medley was an Executive Chef from Philadelphia, Pennsylvania. He was eliminated in Hell's Kitchen episode 15 but received praise from Gordon. After the show, he went to work at The Playhouse 822 before going to work alongside Meghan at Gordon Ramsay's Pub & Grill at Caesars Atlantic City. He returned to Hell's Kitchen Season 17 . Monique Booker was a Line Cook from Lynn, Massachusetts. She was eliminated in Hell's Kitchen episode 5 due to her poor performances, lack of improvement and lack of faith from her team mates. 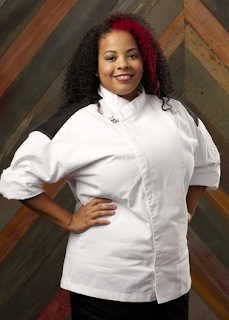 After the show, she returned to Rialto and is currently a Lead Line Cook for ‎Compass Group. Nick Peters was a Private Chef from Stoneham, Massachusetts. He was eliminated in Hell's Kitchen episode 14 as he had made mistakes during service. After the show, he became Executive chef at The Seaglass Restaurant and was Front of House Manager at Mission Oak Grill. He returned to Hell's Kitchen Season 17 and co-founded catering company Kitchen to Aisle Catering & Events, LLC. After the show, he was Banquet Chef at Dave & Buster's. 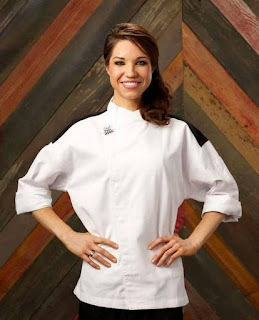 Sarah Baumert was a Chef Instructor from Dallas, Texas. She was eliminated in Hell's Kitchen episode 7 due to her declining performances in service. After the show, she decided to step away from the kitchen to retrain in accounting but has since returned to catering as a Private Chef. She is a brand ambassador for psla. Torrece "T" Gregoire was a Line Cook from Atlanta, Georgia. 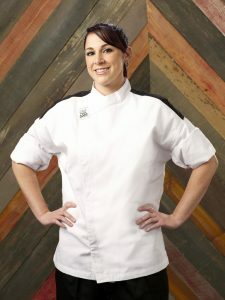 She was the Hell's Kitchen season 14 runner up coming a very close second. After the show, she became Executive chef at Three Blind Mice and later Draper Mercantile and Trading Company. She is currently a travelling chef, travelling to Japan in 2018. T was a beast on HK. Would love to eat at her place of work. loved seeing her in action Super inspiring! !